The Life II Basin is a stylish and versatile wall basin which makes the perfect choice for contemporary bathrooms. Featuring the perfect blend of good looks and practicality, it will transform any bathroom into a modern and functional space. Crafted to perfection, the Life II Basin features a bowl capacity of 8.3 litres and measures 495x410mm in dimensions. Manufactured to fine standards using vitreous china, it comes equipped with a 32mm chrome pop-up waste. 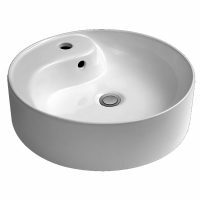 Enjoy the perfect balance between style and functionality with the Life II Basin. It can be accessorised with an optional shroud, which is available separately for RRP $132 at our store. This basin does not include an overflow, and it includes a single tap hole. 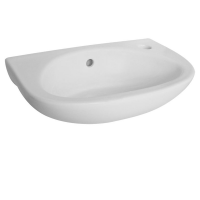 The Life II Basin is a superior grade product that exhibits fine artistry and top-level manufacturing due to which it offers added longevity and durability. 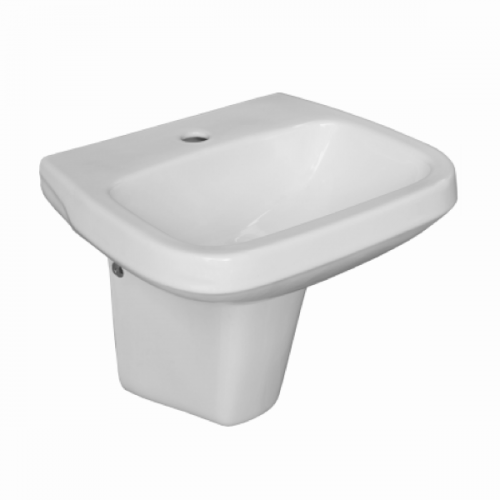 For a versatile and stylish bathroom basin in Perth, choose the Life II Basin at Ross’s Discount Home Centre. 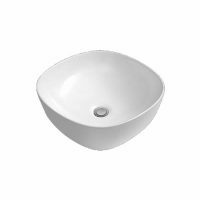 Shop from us online to purchase this functional wall basin at the best possible price and avail our free delivery across Perth Metro!